5 Signs With A BANG!! Signs are always the best choice to advertise for almost any business owner who seeks on saving money and not break the bank. Not all sign products are equal though, some provide more of a bang than others. These signs are not only affordable, but also effective, helping draw in customers and grow business in volumes. Being both inexpensive and attention-grabbing, custom banners are number one when it comes to advertising your business. Advertising banners/ building wraps can be printed at large scales and designed to attract attention at a distance. The design should be kept bold and the message precise and to the point, so as to get the brand of the company known. 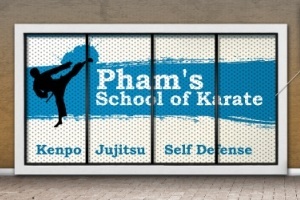 These type of banners are long lasting, reusable and highly cost effective. For small businesses, getting your brand out there can be a tedious and difficult task. 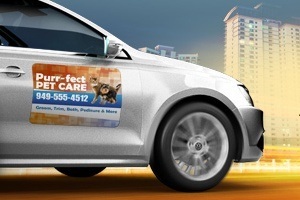 Rear window decals simply placed on company or personal vehicles allow one to promote their business on the go. The perforated material allows you to create a compelling message with great graphics. Advertising on the rear window of a car is an effective way to create brand awareness and grab the attention of potential clients. When stuck in traffic, waiting at a traffic light, drivers will have nowhere else to look but at your branding. 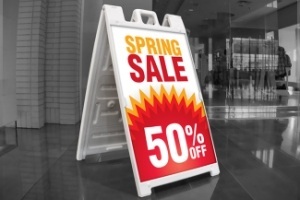 A-frames are perfect for outdoor sidewalk advertising, they are commonly known as sandwich boards. Right in the line of vision of people walking or driving by, these sidewalk boards are sure to draw foot traffic and customer dwell time into the store. A great investment, is getting an A-Frame as it is durable and weatherproof, allowing it to be used daily, rain or shine! Swapping out the signs is easy to do, as the frame allows for new inserts or chalkboard paint. Similar to rear window graphics, one way privacy film, does exactly what it says in the name. It helps maximize the advertising space on your store front, while keeping the contents of the store private from outside viewing. A visually interesting, full colour graphic to cover the windows of your business is bound to attract customers new and old. The ability to fully cover your windows with perforated vinyl means that your message creates an impact, with natural sunlight still shining into your area of business. Once again, we have mobile advertising and how effective it is in terms of attracting a larger scale of people. 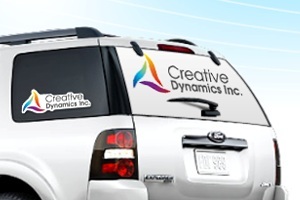 Easy to remove and re-position as needed , magnetic signs transform your vehicle into a business ad on the go. Magnetic decals are also very visible, which makes them an easy way to spread your message as you drive around town. For those who have a pretty tight budget, car magnets are just the form of advertising you can benefit from at a cost that’s close to nothing.